Henri’s Bakery was established in 1929 by Henri Fiscus at the corner of 10th and Peachtree Streets. Henri was born in France to French and German parents. 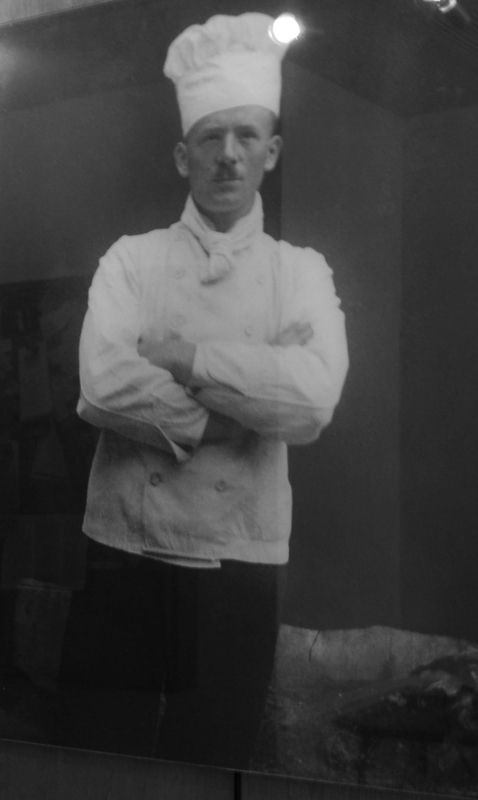 He came to the United States in 1921 after WWI, working in restaurants in New York and Rhode Island before arriving in Atlanta as the opening pastry chef of the Biltmore Hotel. Six years later, his passion for creating gourmet baked goods and for serving others led him to purchase a French bakery in Midtown that would become the original location of Henri’s Bakery & Café. Henri became known for his inventive recipes and the attention to detail he paid to his customers’ needs and wants. He built a legacy that followed him over the years as Henri’s moved to Rhodes Center, Peachtree Palisades, the corner of Peachtree and Piedmont Roads and then to Irby Avenue in 1969. Henri passed away in 1974, just one day shy of his 80th birthday. It was at this time that his grandchildren committed to carrying on the traditions and original recipes their beloved grandfather had started. The bakery continued to flourish and was named one of the 10 best bakeries in the world by W Magazine in 1976. In 1984, a second location of Henri’s opened in Sandy Springs. In 2016, Henri’s great-grandson, Anthony DiNardo purchased Henri’s from his aunts, Madeline Leonard, Michelle Teilhaber and Mimi Veerkamps, uncle, Ray Bell and mother, Suzette DiNardo. Along with his sisters, Kim MacBain and Ashlyn DiNardo, he assumed the mantle of this iconic family business, celebrating its past and looking to the future. The following year, the siblings transitioned Henri’s Buckhead into its current location at 56 East Andrews Drive and expanded the business to include a third store in Atlanta’s Upper Westside neighborhood. This modern, 5,000-square-foot kitchen and retail space houses much of the company’s bakery operations.